5 things you need to know: U.S. stock futures surge on Tuesday, after Chinese President Xi Jinping pledges to open more sectors to foreign companies; Facebook CEO Mark Zuckerberg is scheduled to address Congress about the Cambridge Analytica scandal and more. Watch now! As the Fed hikes rates, stocks will still be the place to go, over other asset types. U.S. is behind the curve, but the opportunities are growing. All three major benchmark indexes traded at intraday records as Wall Street mostly shrugged off the U.K. elections and former FBI director James Comey's testimony. Wall Street scores another trifecta of record closes as a rally in the energy and tech sectors drive gains across benchmark indexes. For the week of Dec. 12, investors await a key Federal Reserve meeting and quarterly results from a host of major companies. Amid the market rally, next week's interest-rate decision will get major focus. A weaker jobs report brought slight relief over diminished chances of a September rate hike. Shares of Verifone Systems taking a big hit on Wednesday. U.S. indices are in the green Wednesday as commodities gain. Wall Street was mostly in the green on Wednesday as crude added to the week's gains after a steeper-than-expected decline in U.S. inventories. On Tuesday, June 7, investors will be keeping a close eye on first quarter results from embattled Canada-based drugmaker Valeant Pharmaceuticals. The Federal Reserve seems to be ready for an interest rate hike this week. For the week of December 14, there are a handful of key economic reports set to be released. 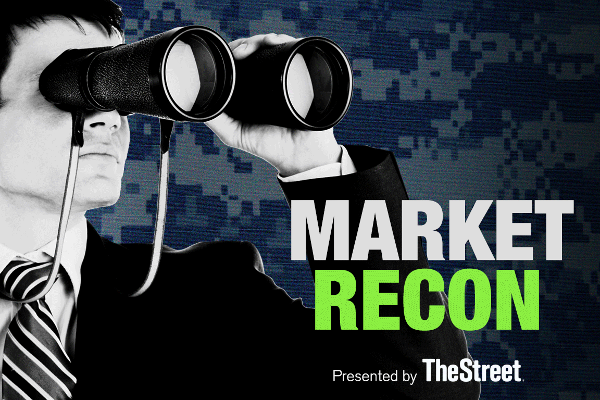 Jim Cramer, portfolio manager of TheStreet’s Action Alerts PLUS and host of CNBC’s ‘Mad Money,’ talked about how to play defense in a down market on Friday. TheStreet's Jim Cramer tackled viewer questions on the economy from the NYSE Wednesday. His first viewer question was from Henry Blodget, an investor and CEO of Business Insider. Why Should You Retain Republic Services in Your Portfolio? Why Should You Retain Fiserv (FISV) Stock in Your Portfolio? FISV or EFX: Which Financial Services Firm is Better Placed?